The ECO-Block insulated concrete form (ICF) is composed of three components - Side panel, Webs, Connectors. measuring 1219 mm long by 406 mm high by 64 mm thick. These side panels are made of flame-retardant EPS. Special right-angle forms are also available for making right and left hand corners. These corner forms speed construction and provide an exterior corner-nailing strip. are molded every 203 mm on the horizontal axis of the side panel. High-density plastic webs, provide furring strips for any standard wall-finishing product, are recessed by 10mm. 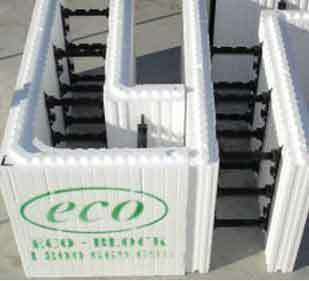 The ECO-Block system consists of two types of plastic: Expanded Polystyrene (EPS) and high-density plastic. spans the cavity between the two side panels and connects the two side panels together to make the block. The connectors and the side panels are easily and quickly assembled on site. Connectors are available in different lengths to create concrete walls 100mm (4 inch), 152mm (6 inch), 203mm (8"), or 250mm (10") thick using the same foam pieces. The space between the panels is filled with concrete that cures and hardens into a monolithic, reinforced core of incredible strength. The ECO-Block side panels remain in place and provide the insulation for the building. Modern home owners are giving greater consideration to two major interrelated aspects, temperature control and energy efficiency. Having effective control over your indoor temperature will help you save huge on your energy bills. You can now efficiently buffer your indoors from outdoors with Eco-Block concrete walls from Polycon Structures. Eco block is designed to reduce the impact of temperature changes on your indoor environment. This helps you in maintaining a sustainable indoor temperature. Furthermore, Eco Block eliminates unanticipated air infiltration, thereby enabling you to gain greater control over your interior air quality. This ensures consistent indoor temperature that provides superior energy efficiency. 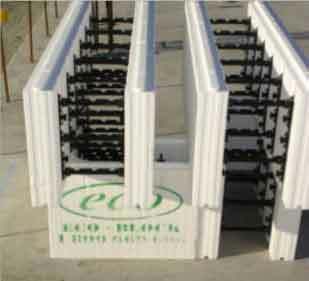 We also supply polystyrene blocks, which provide enhanced insulation and superior fire resistance. .Our product portfolio includes Eco Block, QT Eco Series wall panels, Ventis Home Ventilation System, and polystyrene cladding needs. To know more about how we can assist you, please call us on (03) 9877 9608. 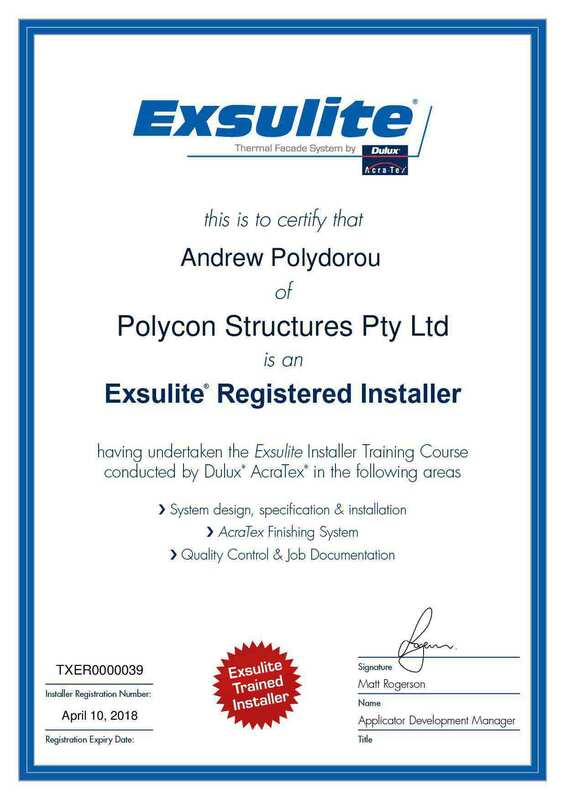 You can also e-mail your queries to enquiries@polycon.com.au. Our professionals would be happy to help you.